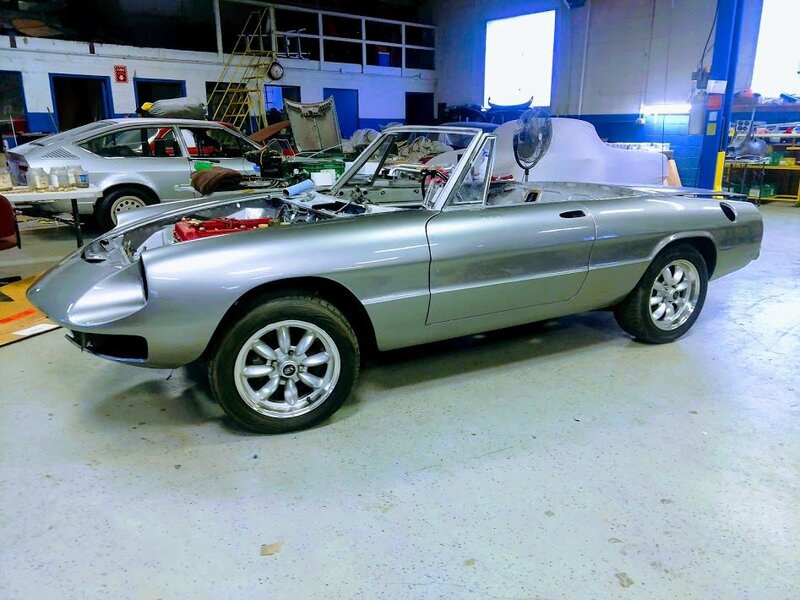 Alfa Romeo Bulletin Board & Forums > Alfa Romeo Production Models Forums > Spider - 105 & 115 Series (1966-1994) > Enough Already or am I to old for this nonsense..
Spider Restoration.... or am I to old for this nonsense..
Got this for $2000, 1979 24K DOCUMENTED MILES- NO JOKE...runs like a deer. I am staying with the silver...mechanicals are surprisingly good in every respect, once I changed out all 4 corners of the brake calipers which were frozen solid!! alfaloco, goats, Gordon Raymond and 2 others like this. Tom! I say jump in with both feet! I would and I'm 69 years old. 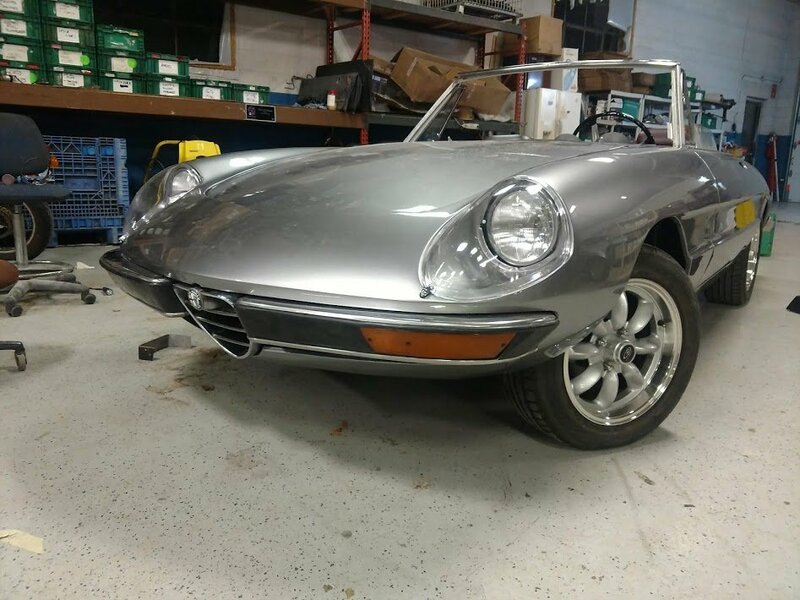 Great looking old/young Spider! Congrats... a great find. 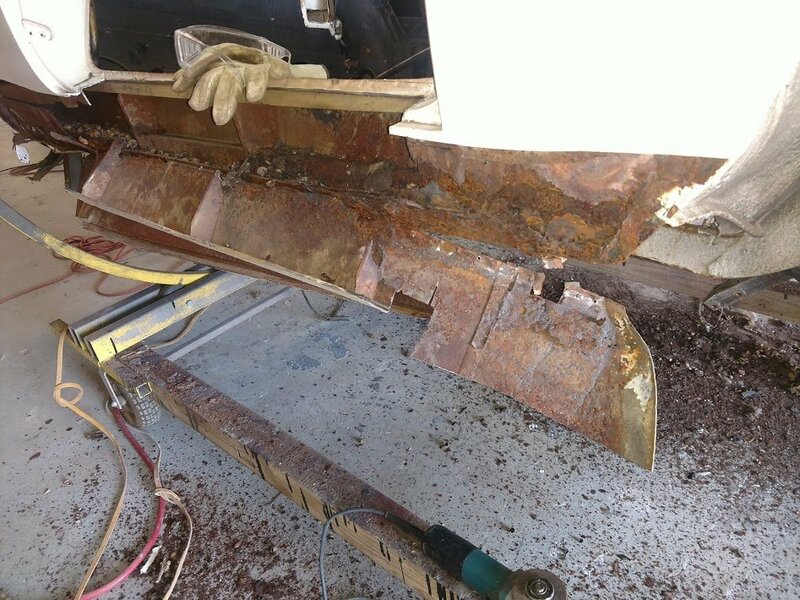 November surprise, all 3 of 4 corners were in great shape when the outer sills removed...now keeping the chassis square..is always fun...replacing all 3 sills both sides ....seam welding..
alfaloco and Zuofu like this. RUST !! !Enough Already or am I to old for this nonsense..
@ alfloco ... I jumped in..
alfaloco and Susan like this. Tough sledding there.. Most of us would rather not know what is going on down below the belt line unless there are clear issues externally like layers of bondo but even solid sheet metal on the outside can mask what is going on inside... We would be scared to death to find out. Seems like this would have showed up with a peek at the underside rockers and boxes? Hard to believe a 24000 mile car would have lived most of those miles in salt brine. Last edited by divotandtralee; 12-01-2018 at 05:15 AM. Really, I thought so to, but.....the rats/mice nested on the one side, so all aft and front-end solid, as are suspension components, rear pickups..trunk tyre well was affected as it stunk of mice urine and out go the carpets. But it runs well, in fact with the exception of some cowle shake it wasn't bad. so once apart a nice seam weld and I know what is under the paint (I guess)..
REAR... pretty much wire wheel and zinc chromate.. I'd be tempted to part it out..but that leads to a whole other can of worms unless you want to take on the shipping and packaging..These cars don't have a big return ahead of them in value. well, that looks really solid! best photo I've seen of those blasted soft top tubes, draining right into the rockers...! That seems to be the case with the exception of the area on the left side.. ditto on the drain tubes..
yes.. the engineer who came up with that should have been hanged. alfaloco, Susan, Huzz and 3 others like this. Last edited by gprocket; 12-01-2018 at 05:02 PM.